Earth Island Journal approached me to do the cover along with a supporting inside piece for their issue entitled "Back From the Dead", addressing the compelling issue of de-extinction asking the question, "We’re on the verge of being able to revive extinct species. But even if we could, does that mean we should?". For the internal illustration I did a petri-dish filled with creatures that are now extinct, but ones scientists have the capability of bringing back. 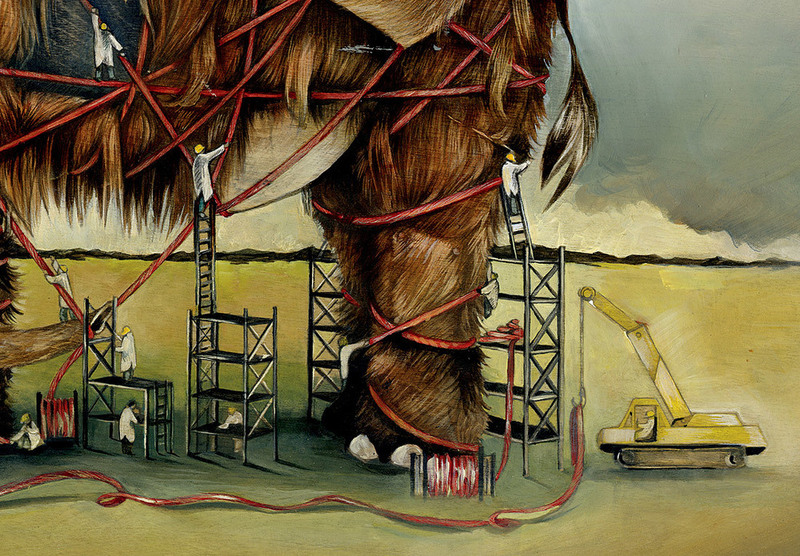 For the cover I show a Woolly Mammoth being 're-built' by a construction crew of tiny scientists.